If your shoulder is frequently dislocating or feeling unstable inside the joint, a torn labrum may be the culprit. 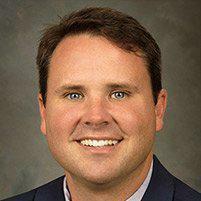 Robert Lewis, MD, at Columbus Shoulder Surgery & Sports Medicine in Columbus, Georgia, is a skilled orthopaedic surgeon who practices the most advanced techniques in arthroscopic labral tear repair. If shoulder problems are keeping you from working or from playing the sports you love, call or click online to schedule an appointment with Dr. Lewis today. Your shoulder is the most movable joint in your body, and the labrum is a key part of what keeps it in place. Imagine your shoulder joint as a golf ball on a tee. The ball is where your upper arm bone (humerus) fits into the shoulder socket, and your shoulder labrum is like the ring around the tee that keeps the ball from falling to the side. What does a labrum tear feel like? How do you tear your shoulder labrum? How does an orthopaedic surgeon diagnose and treat labrum tears? First, Dr. Lewis performs a physical exam and reviews your symptoms. He may use imaging tests, such as an X-ray, and ask you to move your arms in different directions. After diagnosing your labrum tear, Dr. Lewis discusses the best treatment options. Typically, the first line of treatment for a labrum tear is physical therapy and anti-inflammatory medicine. 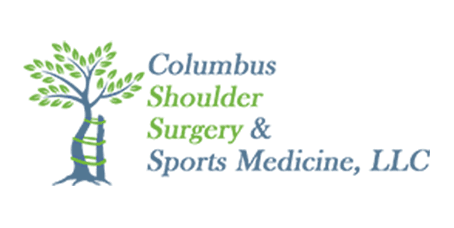 If you’re experiencing signs of a torn labrum and want to get back to your normal activities, call Columbus Shoulder Surgery & Sports Medicine or book an appointment online today.